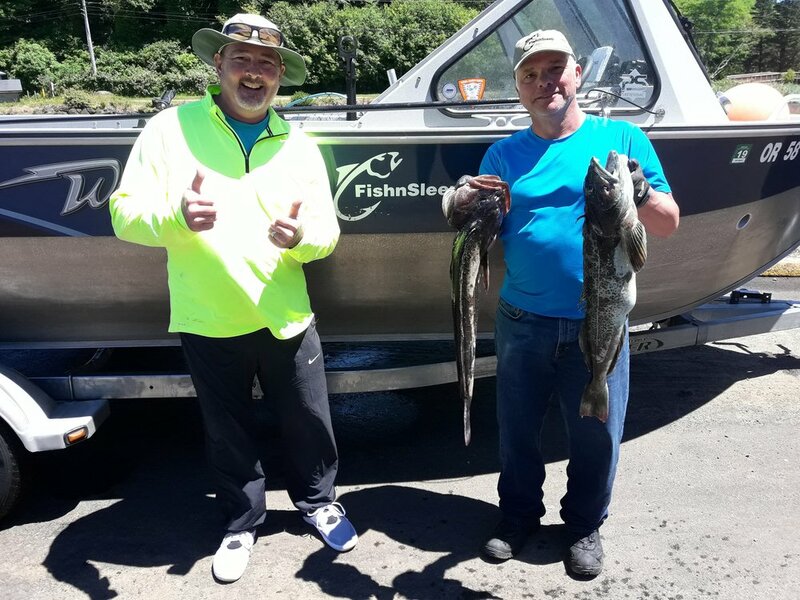 Went to Depoe Bay Friday morning, fished from about 9:00 a.m. to 2:00 p.m. did not catch any fish, were fishing north of entrance west of Chinook Winds Casino. 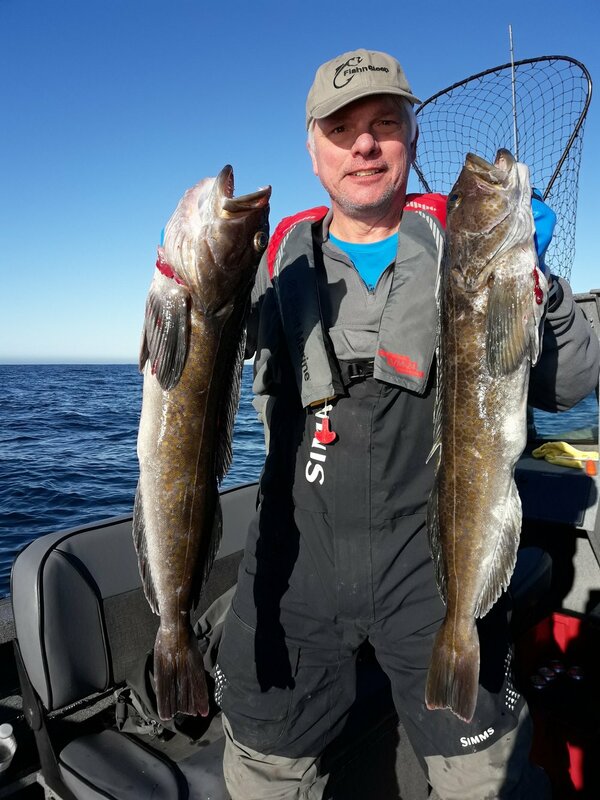 Had heard reports that fishing was very slow due to large amounts of bait, squid, in the water. This proved to be true. There were lots of whales to be seen, which was really cool! Hundreds of whale watchers on the side of the highway, as well as whale watching boats. They were really close, maybe a couple hundred feet off of Depoe Bay entrance. 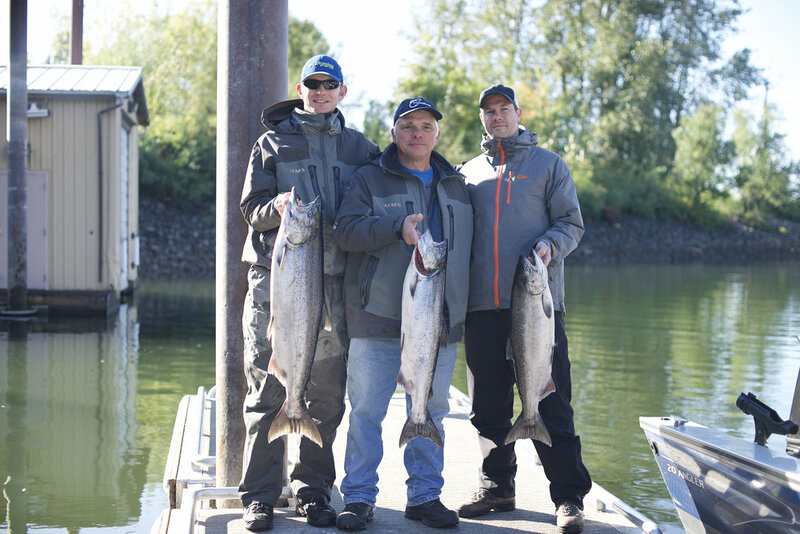 Got an earlier start Saturday, about 6:00 a.m. and started south of entrance along with several other boats. We marked lots of fish, but no biters, the charters were also moving around frequently, it appeared they were in the same boat, pun intended. Decided to move north again, and try our luck there. 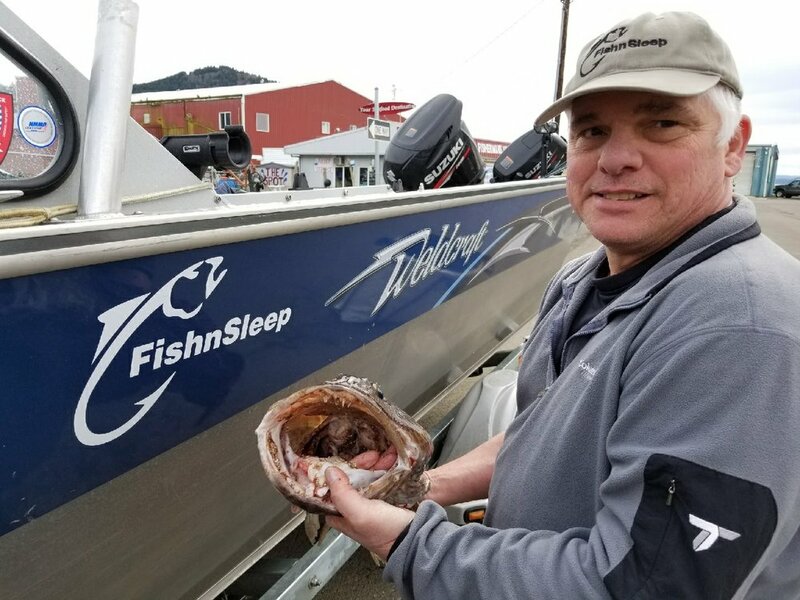 Put on huge curly tails on 16 oz lead head jigs, finally, some action, managed to land two nice ling cod, which promptly emptied their stomachs of squid on the deck of my boat, it was still fresh, but I did not taste it. Called it about 12:00 p.m. as the wind picked up. Went back to Depoe Bay, seeing lots more whales. I do love the area, and with the new bypass, it is under 2 hours from Beaverton, making it a day trip candidate, in my opinion. On this trip I was fishing with my friends John and Dan, John was gracious enough to share his lake house on Devil's Lake with us. Nice place to flush the motors after being in the salt. 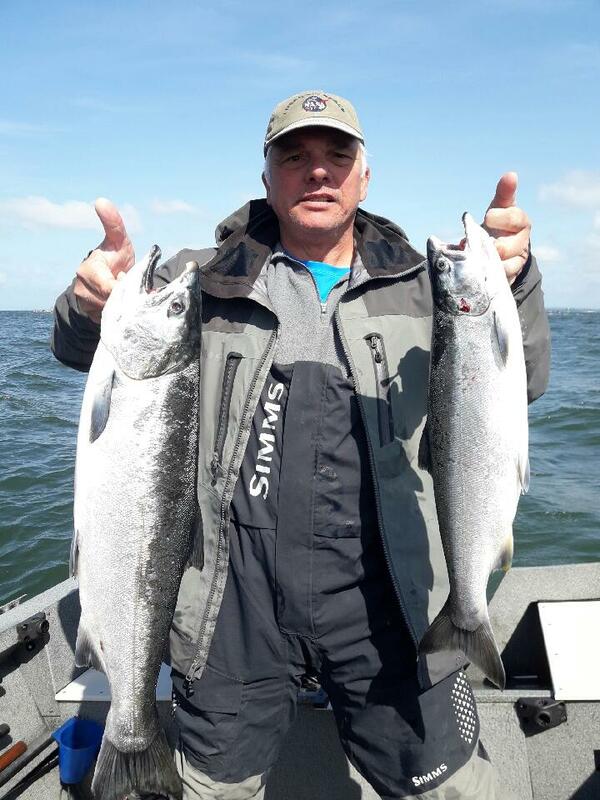 Next weekend planning on fishing out of Garibaldi, bottom fish and or salmon, as salmon opens June 30, check the regulations. Good luck fishing!